As the consumerization of health care grows, more patients expect health care systems to offer convenient, personalized experiences. Piedmont Healthcare, a $3.5 billon, seven-hospital system in North Georgia, developed a mobile wayfinding platform that allows patients to use smartphones to guide them from home to the right parking garage and then step-by-step to their destination. The platform addresses the patient experience challenges of the growing health system and has additional features to meet patients’ medical care needs. 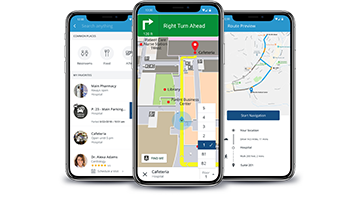 The patient-centric mobile app, PiedmontNow, has become a hub for improving convenience and accessibility to the health care system and a trusted resource in the patient journey. Katie Logan, VP Experience at Piedmont, will discuss the best practices for developing a hospital-branded mobile app including prioritizing patient experience, leading with wayfinding to drive app adoption, achieving clinical improvements with feature-rich content, and evaluating analytics for ROI.